Hi everyone…as you read this, our counterparts at Sony Computer Entertainment Europe are wrapping up a press conference at the GC – Games Convention in Leipzig, Germany, which is the European version of E3. Some new PlayStation hardware was announced, and I wanted to let you know the details of how these products will be making their way to North America. The 160GB PS3 system announced at the GC will be available here as part of a new limited-edition bundle that includes the hardware, Uncharted: Drake’s Fortune game, a PLAYSTATION Network voucher for PAIN, and a DUALSHOCK 3 wireless controller. We’re hearing from a lot of you that more PS3 storage space is important, particularly since the launch of our video delivery service, and this new model delivers more memory and a whole lot of content packed-in. The 160GB PS3 has all of the same functionality as the new 80GB PS3 that’s popping up on retailer shelves now, but obviously has twice the HDD space, so you can build levels to your heart’s content in LittleBigPlanet, download a ton of videos, and still have room for your entire music collection. 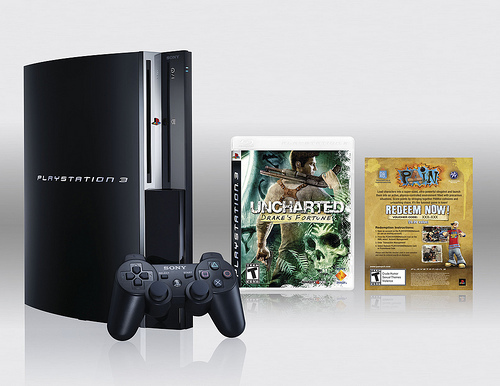 The Uncharted: Drake’s Fortune 160GB PS3 bundle launches in November for $499.99 (MSRP). 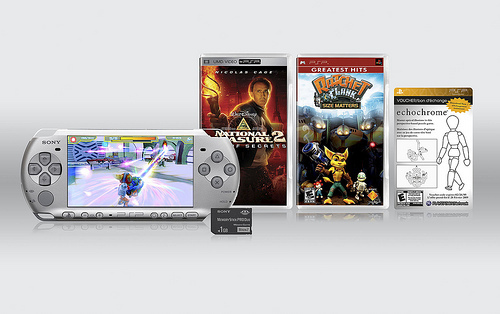 We also unveiled at Leipzig an updated PSP system (PSP-3000), which we’ll be offering here initially through the previously announced Ratchet & Clank: Size Matters PSP Entertainment Pack and a new PSP 4GB Memory Entertainment Pack. I’m personally excited about the 4GB Memory bundle because we’re including a – you guessed it – 4GB Memory Stick PRO Duo, which is the biggest Memory Stick we’ve ever bundled with a PSP. Similar to the new PS3 model, this PSP bundle is the result of the current consumer usage model – where more and more of you are finding that extra memory space is crucial. Check out the press release here for more details on what’s included in the bundles. The LCD screen will have a wider color gamut and higher contrast ratio to deliver deeper, more vibrant colors, as well as anti-reflection technology so you can see the screen more clearly when playing outdoors. As you all know, the PSP’s screen is a key strength of the hardware, and this update adds an absolutely dazzling LCD screen to the handheld. A built-in microphone allows for Skype calls and multi-player gaming communication directly from the hardware – eliminating the need for attaching a separate headset. Similar to our firmware updates, the new PSP is simply an opportunity to evolve the platform with the newest technology without adding to the cost of the system. The PSP Entertainment Packs will continue to be $199.99 (MSRP), and later this year we’ll release a standalone, updated PSP in a PSP Core Pack, which remains at $169.99 (MSRP). 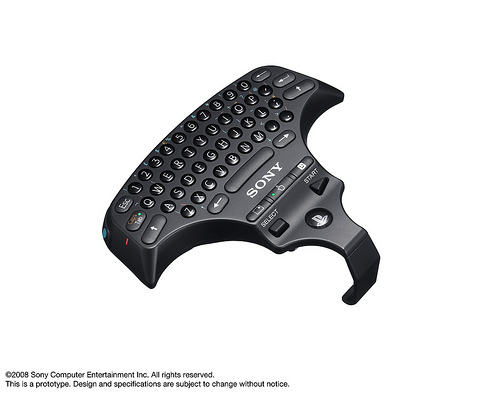 Lastly, we’ve announced a new Wireless Keypad for PS3 that will make text communications and Web browsing much easier. The Wireless Keypad snaps onto the top of a SIXAXIS or DUALSHOCK 3 wireless controller and comes with some cool features, including a mode that turns the main key area into a touch pad (similar to a touch pad on a Laptop computer). Once in this mode, you can slide your finger on this area to move the cursor on the screen and tap to enter. There will be two short cut buttons on the Keypad that will enable users to jump directly to the XMB’s “Friends” icon and the “Message Box” during gameplay. The Wireless Keypad will launch in late November. Last but not least, the Wireless Keypad is a Bluetooth device that can not only be used with the PS3 system but with any other Bluetooth enabled device that has Keyboard functionality. You will be able to use it with your smart phones and other portable devices that are equipped with Bluetooth. With the PS3 system, it can be paired and charged seamlessly just by connecting them with a USB cable. That’s all for now on the hardware front. You’ll see much more on the games shown at GC in Leipzig in the coming days. Good thing I waited on this for another PSP. ps. Thank goodness that PS3 keyboard is QWERTY. :) Good news. And I also held off on a new PSP so with this recent announcement, I’ll have to pick one up when there is a break in the PS3 game releases. think i might get the keyboard. when it comes out. didnt see 12 announcements from sony. but not sure if there will be more coverage on games through the week. any new games annouced? besides the playstation eye pet game?? PLEASE SONY, PLEASE release the Playstation Network games on BluRay. I mean a ‘compilation’. On one (or more) BluRay discs, put all (maybe all the most-sold) PSN games! Thanks, i hope for an answer! NVM… I can’t wait for PSP 3000! seriously what happened to Backward compatibility. Would pay more for that, just to not have to worry about the silly Memory cards on the ps2. Made playing ps2 games so much more enjoyable. Hope my 60 gig ps3 never dies. Nice, I might end up trading in my DS for a PSP :). The keyboard looks pretty neat too. 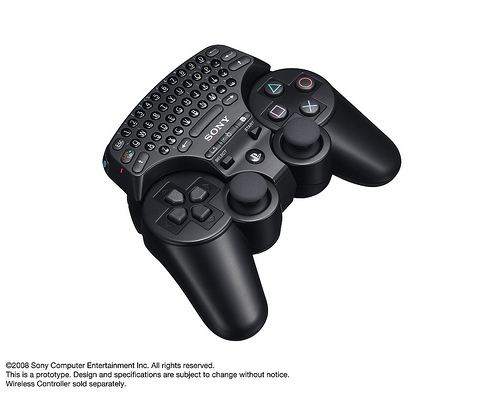 It’s about time we got an official PS3 keyboard. I am glad I just spent $70 on the Logitech one. I am glad I held of on replacing my release date PSP though. This stuff looks great! A price drop for MGS4 PS3 bundle anytime soon? 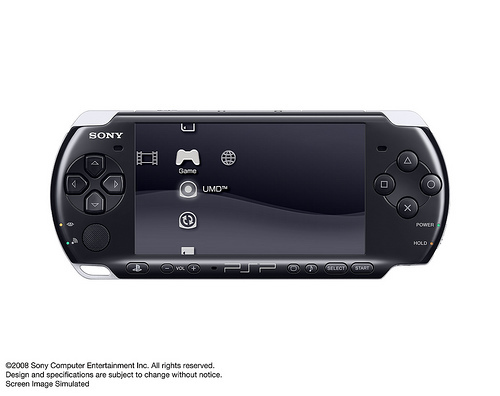 Please give us more choices for the color of the PSP 3000. Wow that keyboard look awesome. I’ll make sure to get one for my self. Thank you guys & keep up with this great work. Finally! Thnx so much. I needed a QWEERTY keyboard. Is there a price on it? Really nice even if i already have my psp and ps3.. I’m gonna get one of those keypad tho in november. This was just a hardware announcement blog post. There will be other announcements that come out of Leipzig. Awesome! And thanks for the pics. NICE More storage. I’m happy with my current PS3(320 gig) though. But I might finally update my Fat PSP maybe. Keyboard looks very intersting pretty small compared to the moster of a keyboad I’m currently using. All in ALL the best Blog post I’ve heard all week. Now if we could get to that HOME Beta? any gps news for psp? I like the keyboard but how much will it cost? Can we see videos from the conference on PS Store on Thursday? some sweet stuff r coming… is the US going to get the music service that the PAL territories r getting? We really want the GPS unit and maps for North America. When will get those? Very nice for the PS3 QWERTY keyboard. I’ll buy it whatever the price. But I still hope it will be less than a DualShock 3. And for the PSP-3000 with an anti-reflection screen… it was about time!!! I’ll buy it. I’m always using my PSP connected to my in car head unit for movies and music. Under the sun I wasnt able to see a thing! Your new “premium” system will have no PS2 bc. That’s just sad. Epic fail for sony. I want that wireless keyboard now. OMG, I’ve been waiting for the official PS controller mini keypad forever. I really didn’t want to play with a full size keyboard in-front of me. Thank you thank you thank you!!! i agree with nero25 this was just terrible, no home, no lwp,no new rpgs announcements..man,this is getting old! Are we talking about the Metal Gear 80GB bundles that have Software PS2? Or the new 80GB ones announced in E3 that are really 40GB ones with an 80GB HDD and don’t have Software PS2? Please clarify if possible… (not that I need another PS3, but I have friends who don’t have a PS3 yet and are considering one. PS2 compatibility seals the deal). If anyone is disappointed with lack of news about RPG’s and Home coming from Leipzig, remember that Tokyo Game Show is right around the corner. That is when Sony always brings out the big guns! I can’t wait! When can I pick up the PS3 Wireless Keypad? I so want this right now!!! People don’t care about the storage since it’s easy to upgrade the HDD size cheap. People don’t like mandatory installs for games (should be a mandated policy as such) and people like their Playstation 2 Backwards Compatability. when is that convention in Tokyo? These are some awesome stuff! Why didn’t we hear anything about the new David Jaffe game? that keypad is nice but hows about updating the web browser to a more fully functioning one. i love using the ps3 web especially saving me from running to the comp but not all sites load right or function due to the flash i think. Looking forward to that Dissidia bundle! Yes Trophies for PSP, copy your save files too the PS3 and get Trophies!!!!!! And I love the new PSP-3000!!! Won’t the balance for the keypad be thrown off depending on use of a Dual Shock 3 or a SIXAXIS? Seems like this would be a very noticeable difference if you were trying to type with all fingers but your thumbs. Wipeout HD, where art thou? Get the latest PlayStation news and stories delivered straight to your inbox. The wait is over. Gravity Rush Remastered comes to PS4, with full soundtrack on PS Store. 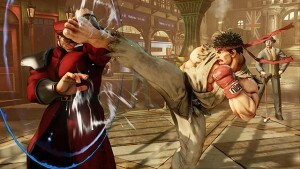 Get full details on the biggest fighter of the year, out now on PlayStation 4. 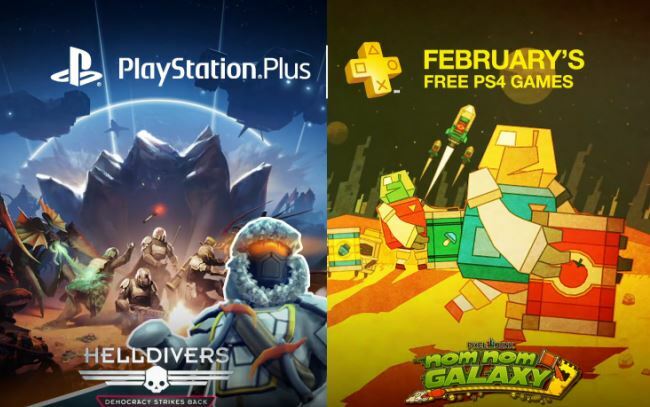 February's lineup is out of this world with Helldivers, Nom Nom Galaxy and more. Suit up, soldier. Black Ops 3: Awakening is out now. Play first on PS4. Would you be willing to answer a few brief questions about PlayStation.Blog?